Our membership software will give your entire organisation a complete set of tools - everything from communication and reporting to safeguarding and achievement tracking. Volunteers are able to focus on delivering better programmes by letting the system take care of their administration - events, badge and award progression, attendance, payments, parental communications and much more. Works offline too – any device, anywhere, anytime! Responding to their need for an online system, we provided them with a complete suite of tools for both their head office and leaders to manage all of their guiding administration online. We launched Online Scout Manager into UK Scouting in 2011. Developed by Scout leaders for Scout leaders, there are over 90,000 leaders in the UK who love using our system. 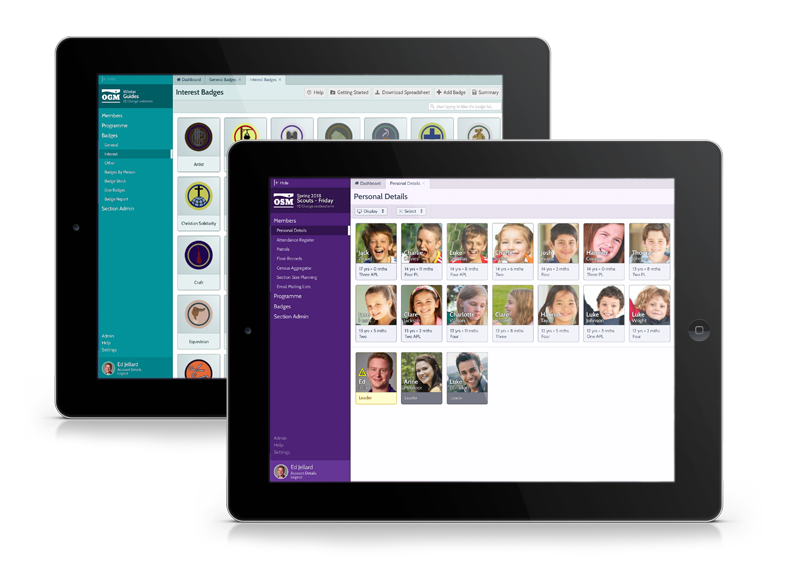 Our system was chosen due to the extensive features for leaders and the reporting system available for their headquarters to understand and develop New Zealand Scouting. Our system has been adapted for the needs of The Boys’ Brigade and is their official membership system used across the whole of the UK and the Republic of Ireland. Starting in 2011, we have created a revolution in online membership software. More than 100,000 leaders have chosen to use our system and with our growing team of people, we are committed to youth development worldwide. "IGG and OYM initiated a project to develop a new membership administration system. The result is a fantastic system which allows for interaction between Leaders at unit level, at various hierarchical levels within IGG and at national level on membership information. I would recommend Online Youth Manager to other youth organisations that require membership information across all levels. " "Online Scout Manager is amazing and has revolutionised my life. I now enjoy organising activities and events because I know the information will reach the parents and they will let me know if their child will attend. Contact details are available at the touch of a button and there’s amazing activity ideas which are linked to badges. You are brilliant!" "Online Scout Manager has completely made life much easier, gone is the paperwork system which seemed to be endless and in has come OSM on PC and iPad. It's great being told when we can award badges and not second guessing if they have completed all the tasks... Simply fantastic!"